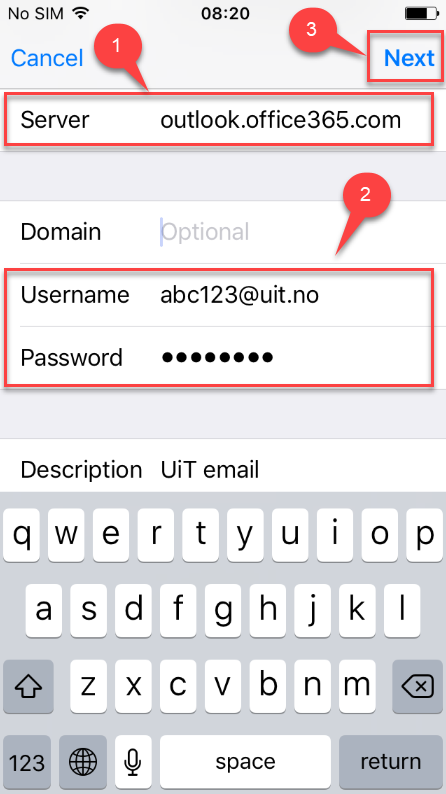 This page shows you how to set up a UiT email account in the Mail app on iPhone, iPad or iPod. Choose Settings > Mail > Accounts > Add Account > Exchange. Description: Optional, e.g. 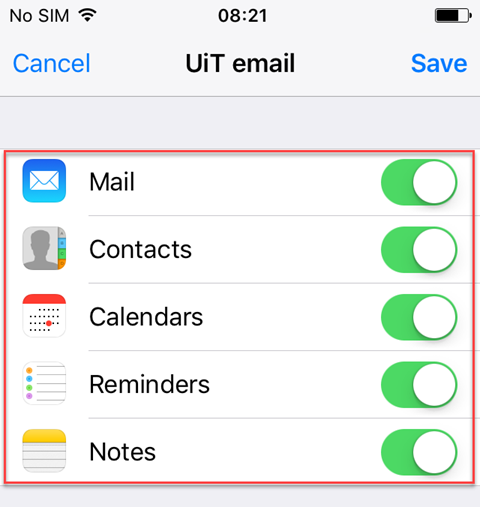 "UiT email"
Regarding synchronizing Contacts: When you synchronize your UiT contacts to your iPhone, the iPhone will ask you if you want to keep your current contacts or delete them. If you keep them you risk having two copies of certain contacts. If you choose to delete exisiting contacts you might delete contacts that were saved locally on your iPhone. On a new iPhone that doesn't have any locally saved contacts this won't be a problem. 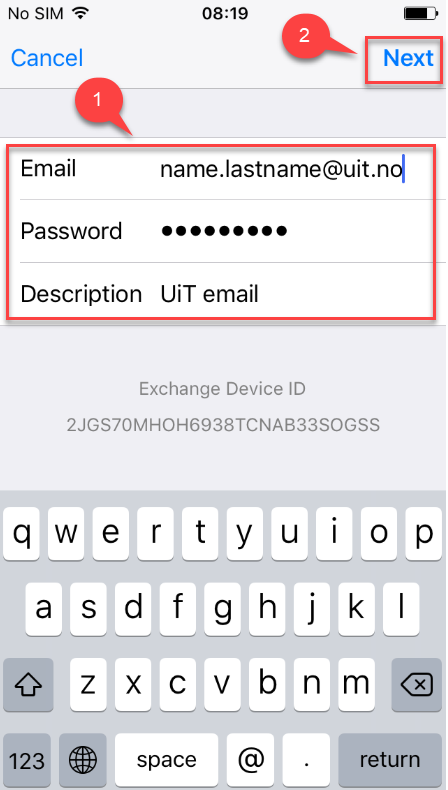 However, if you have many locally saved contacts on your phone, you may want to consider whether you should synchronize your UiT contacts.